Pelosi did not have to remind her hosts that the Trump administration can negotiate treaties and trade deals. But she emphasized that Congress has to approve them. Speaking at the London School of Economics on Monday night ahead of her visit to Dublin on Tuesday, Pelosi also told Brexiteers that the 1998 Irish peace agreement was dear to Americans. The accord ended 30 years of sectarian strife, known as “the Troubles,” that left 3,500 soldiers, police officers and civilians dead. In remarks Tuesday in Dublin, Pelosi stayed on message, warning that a trade deal between the United States and Britain was “just not in the cards” if Brexit caused any damage to the peace process. “This isn’t for us an issue or an agreement. It is a value,” she told an audience that included Irish Foreign Minister Simon Coveney. Pelosi’s remarks served to bolster demands by the E.U. 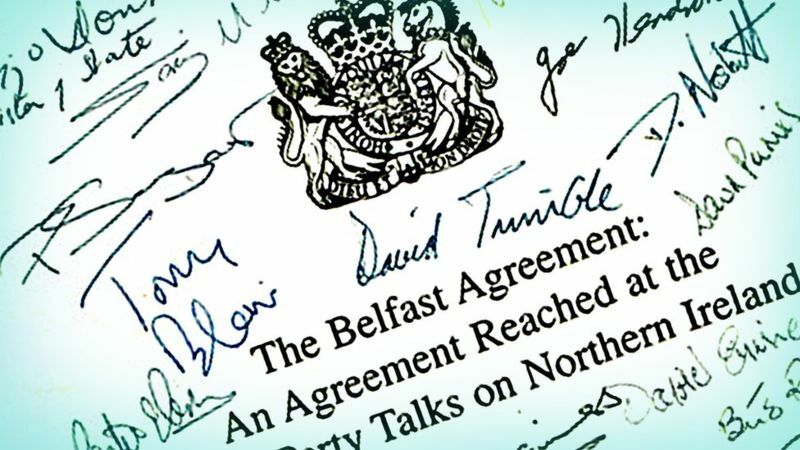 that any agreement allowing for Britain’s orderly departure from the bloc must guarantee that the border between Northern Ireland, a part of the United Kingdom, and the Republic of Ireland, a member state of the E.U., remains as it is now — open and virtually invisible. This guarantee, known as “the backstop,” would hold no matter what happens in future negotiations over customs duties, trade tariffs and immigration controls. May has stressed that her government will comply and that, as a signatory to the Good Friday Agreement, it wants to do nothing to undermine it. But Brexiteers in her party and government have balked, arguing that the backstop could shackle Britain to the E.U.’s rules, perhaps forever. May’s Brexit deal has been voted down three times in the House of Commons, with the Irish border guarantee looming large each time. “The Good Friday accords ended, like, 700 years of conflict,” Pelosi said, noting that it was President Bill Clinton and former senator George Mitchell who brokered the deal. “This is not a treaty only. It is an ideal. It is a value. It is something that is a model to the world, something we all take pride in,” she said. “And we don’t want that model to be something that can be bargained away in some other agreement” — a reference, of course, to Brexit.